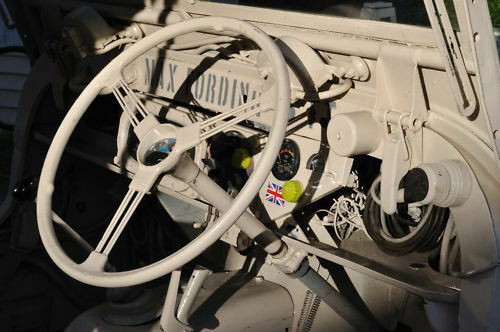 Morris (who designed it as the "Nuffield Gutty"), Wolseley (who built the first 30 under the name "Wolseley Mudlark"), Rolls Royce (who designed the engine) and Austin (who ultimately built most of them), all had a hand in this vehicle. 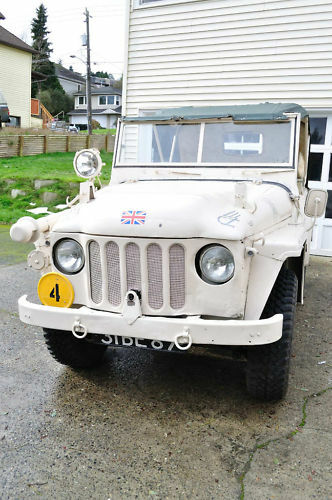 The Champ (Which is its civilian name - Officially it was the "Truck, 1/4 Ton, 4x4, CT, Austin Mk.1". CT stood for CombaT.) had some unique features. Meant to be somewhat amphibious, the engine is fully enclosed and the tube that you see sitting on the right fender is a snorkel that could be raised when going through water. The gearbox has five forward and five reverse speeds. I can't imagine that there would be any use for this vehicle other than bringing it to shows, where it would draw attention from both car geeks and fans of military history. It's too nice to use at off road events and its lack of creature comforts - such as upholstery on the seats - would make it impractical (and uncomfortable) to drive very often. This Champ comes with a fairly complete parts car (or restoration project). Located in Seattle, WA, click here to see the eBay listing. For more info on the Austin Champ, check out the The Austin Champ Owners' Club. You can find their website here. I can think of another use - with five reverse speeds, you could drive everywhere backwards. That would get you more looks than some crappy Ferrari. Just last night I stumbled upon that vehicle and thought of submitting it. I mean, I hadn't ever heard of it before and best of all, there are axes on the side, right by the driver! That is tremendous. I seem to remember in my readings, years ago, that either Popular Classics or Thoroughbred & Classic had a long article about these. The elongated hubs on all four corners were another tool to be used in the field. They were designed to be used a come-along, enabling these vehicle to traverse above long creeks and crevasses with the help of long cables stretch across each bank/cliff face. I’d hate to be the first one to try that out. 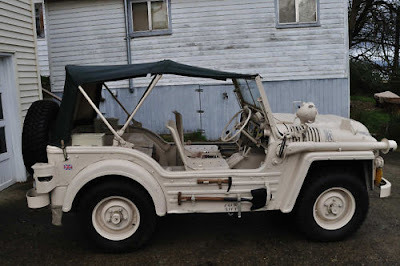 Very cool vehicle. Never seen one in person. Seems reasonably priced from the rarity and condition.